Customize your trip with a local travel expert in South Korea. 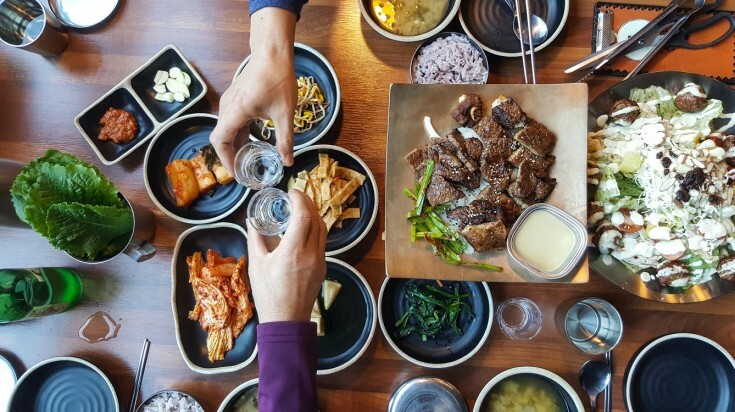 Seoul is probably the best place in the country to get to grips with the intricacies and flavors of traditional Korean cuisine in South Korea. The capital's vibrant street food stalls can that unique flavour not easily available in the restaurants. Whether you’re new to the Seoul street food scene or an old hand, here are the food you simply must try while in the Seoul. They come in at around USD 15* per person. 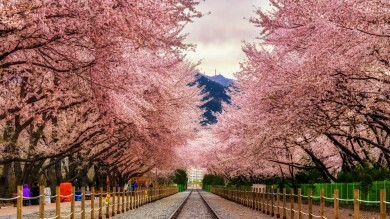 If you are planning to visit South Korea then check out the top things to do in South Korea. No list of the best street food in Seoul can be complete without a mention of fried chicken (pictured above), a much-loved part of South Korean cuisine. 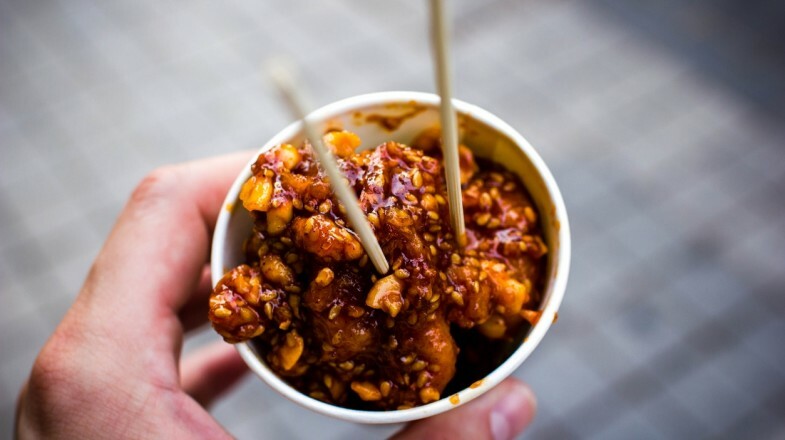 Chicken stalls aren’t hard to find, and each has its own unique recipe which can include garlic and tomato to create the golden-brown, crispy pieces of fowl. The fried pieces are then drizzled in a variety of glazes such as yangnyeom (spicy seasoned sauce), soy, and sweet and spicy sauce. Tip: Kimchi is the usual accompaniment to fried chicken, making it the perfect way of tasting two of Seoul’s staple dishes. The best well-known of any Korean dish, Korean barbecue is a great introduction to the Seoul street food scene and not difficult to find. A cook-it-yourself experience, watching and smelling beef (sogogi) or pork (samgyupsal; the two most popular meats) sizzle on the grill in the middle of the table among bowls of banchan sides such as kimchi (pickled vegetables) is the quintessential Seoul food experience. The meat is typically eaten in lettuce or perilla leaves (a plant from the mint family), with a drop of ssamjang paste – a mixture of crushed beans and chili. The best barbecue restaurants can be found around Majang meat market. 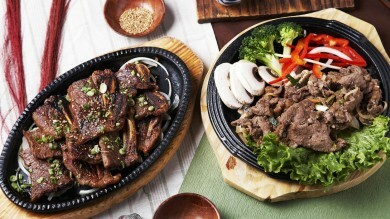 Tip: Korean barbecue is a sharing dish meant for two or more people, so bring (or make) a friend! 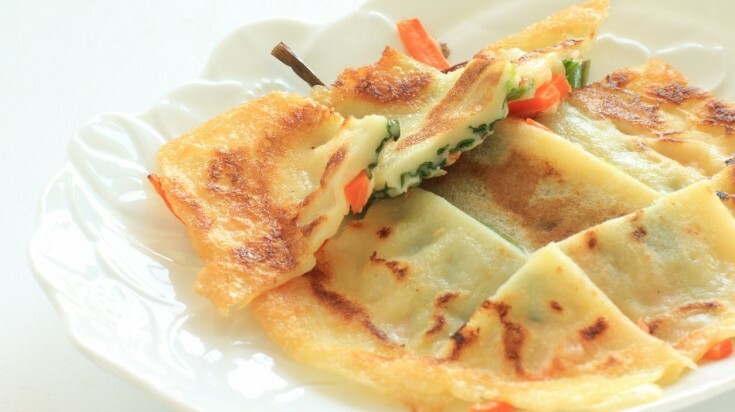 These fresh-tasting prepared-to-order savory pancakes are loaded with pork, seafood, kimchi and anything else the chef can think up. Greasy and salty though they may be, they are also incredibly moreish, and the stalls are always busy with locals. Tips: Jeon make the perfect pairing to makgeolli, a fizzy and opaque rice wine once considered only good enough for farmers to drink but now one of the hottest tipples in town. Caught off the nearby coast, you can’t go far in Seoul without seeing jjukkumi in one form or another. There’s even a statue of an octopus on Jjukkumi Street. 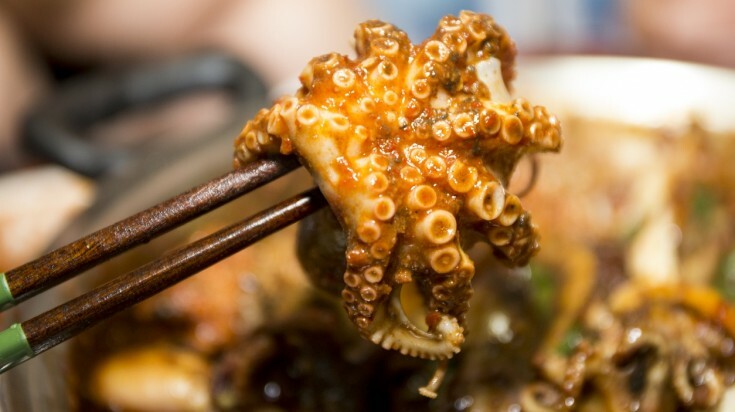 One of the most popular versions is jjukkumi bokkeum, where whole minute octopus are cooked and mixed with an incredibly spicy gochugang sauce. Tip: If you’re not squeamish, you can also eat jjukkumi chopped, raw and still wriggling. Once dipped in sesame oil it’s advised to chew Sannakji well to avoid choking. Perfect for hot and humid summer days in the capital, this dish actually originates on the opposite side of the 38th parallel in North Korea. 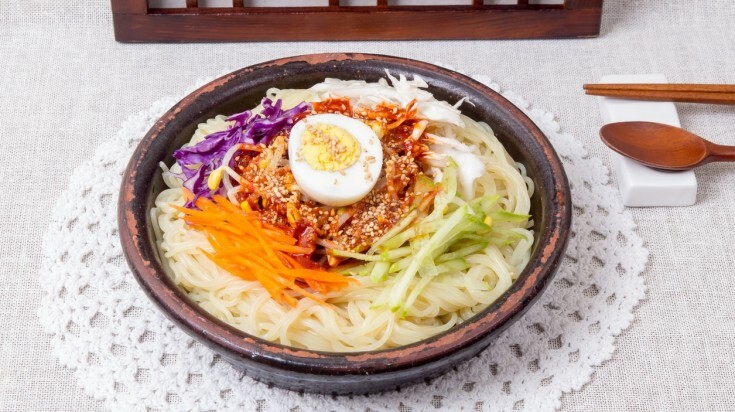 Sometimes known as Pyeongyang naengmyun after the North Korean capital, the buckwheat noodles are cooked and then chilled before being mixed with diced vegetables and topped with gochugang sauce. 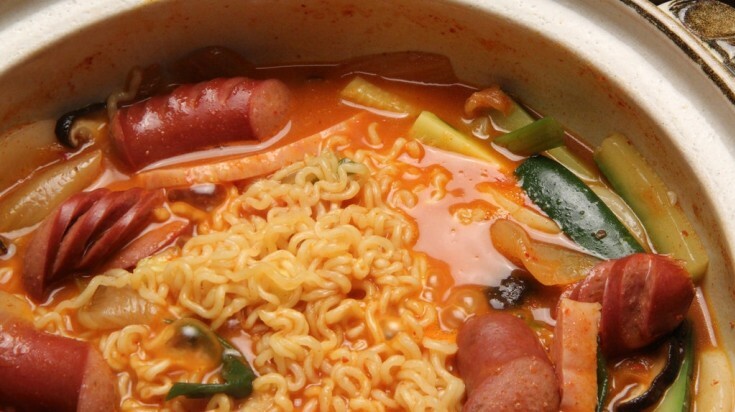 Tip: An iced soup version of the dish also exists, called mul naengmyun. Look out for it in the Ojang-dong area, accessible via Euljiro 4-ga metro station, exit 8. Korea’s answer to sushi is fine enough to have made it to many a restaurant menu in the city, however it is still also readily available on the street. For the freshest saengseon hoe Seoul has to offer head for Noryangjin fish market. The more than 700 stalls dedicated to fish will be happy to slice up whichever sea creature takes your fancy. 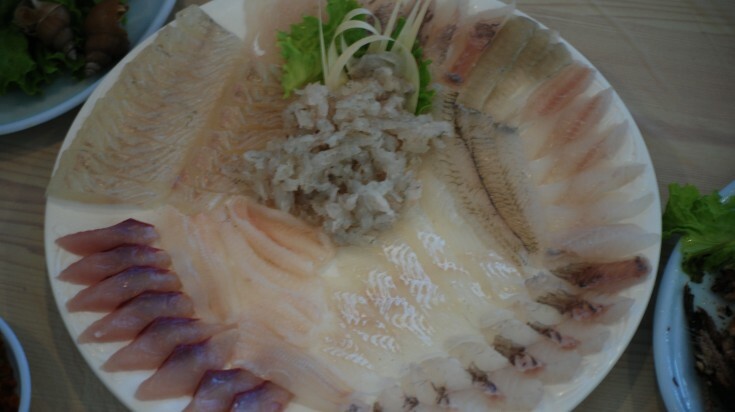 Should you prefer your fish cooked, take your purchase to one of the small restaurants on the edge of the market. Tip: Noryangjin fish market is open 24 hours a day, every day of the year. The restaurants there get particularly busy with groups of local elderly men and women on the weekend. 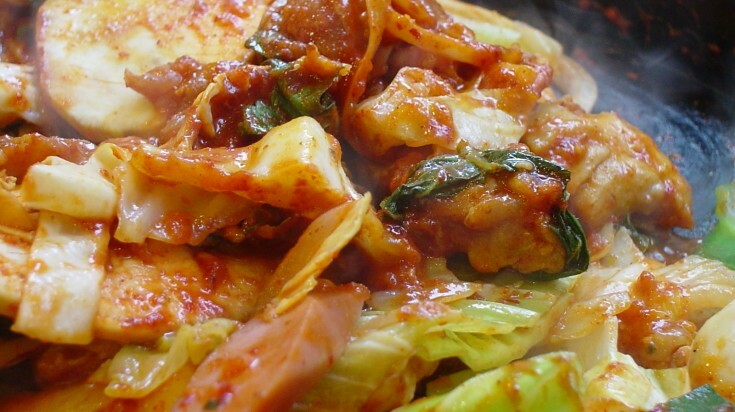 Originating from the town of Chuncheon in Gangwon province, dakgalbi is now a firm Seoul favorite. 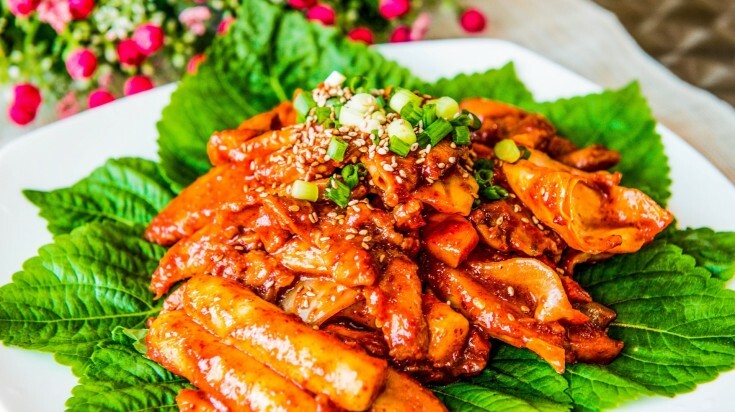 Diced cubes of chicken are marinated in ever-present gochujang sauce and then stir-fried with cabbage, sweet potato, perilla leaves, onion and tteok rice cakes on a hot plate. Tip: Pair your dakgalbi with stir-fried ramyeon noodles, which have a similar taste to Malaysia’s mee goreng. If all the gochujang sauce is getting a little too much for your palette head for one of the stalls around Myeongdong metro station (exit 6) serving traditional Korean rice porridge. 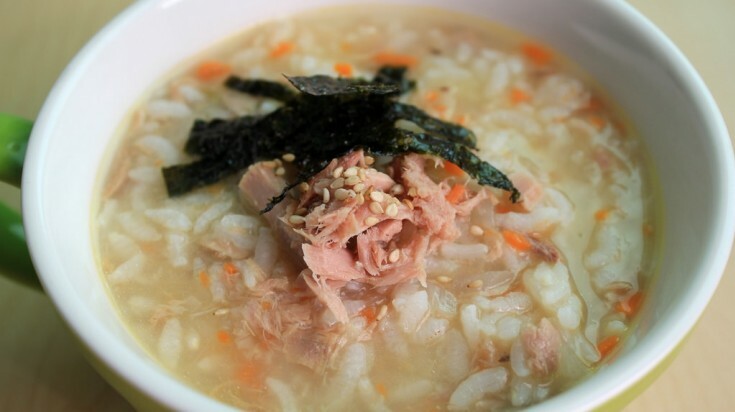 One of the few traditional Korean dishes not infused with chili, juk is by no means a plain and stodgy breakfast staple. Traditional juk is a sweet porridge such as patjuk (red bean), or pumpkin porridge, but today stalls also sell savory versions that include mushroom, salted seafood or meat. Tip: Look out for more unusual versions of juk, such as the black heugimja-juk made from sesame seeds. Budae Jjigae gained its place in Seoul’s food culture after the Korean War of the early 1950s, when rationing made protein and other food stuffs difficult to come by. The stew began to be made by the city’s civilian populous using tinned meat and sausages from US army rations, cooking them in a traditional chili paste soup with cheese, tteok (rice cakes) and vegetables to create a thick broth that combines western and traditional food influences. The ‘tteok’ part of the name refers to the rice cakes themselves. But forget the dry rice cakes hated by dieters the world over, these are chewy sticks of rice normally smothered in a spicy red chili sauce called gochujang. One of Korea’s fast food offerings, they are eaten standing up and available from every food stall in the city, the equivalent to French fries. Tip: The restaurant Mabongnim Tteokbokki in the Sindang neighborhood has been serving rice cakes since 1953, making it one of the oldest eateries around. It’s the place to come for the snack, which is paired here with cabbage, onion, noodles and even fishcakes. A complex and still largely unexplored cuisine, Seoul’s street food packs a real punch. From better-known dishes such as Korean barbecue and fried chicken, to the likes of Korean army stew and savory pancakes, there is a phenomenal range of foods to try in Seoul. Travelling to South Korea? Chat with a local travel specialist in South Korea who can help organize your trip.